Many of my friends and acquaintances have said to me, “When I die, I want to be cremated, have a party, and spread my ashes in the ocean”. This is such a common comment that I thought there must be a great deal of truth to this vision. We have developed our special “Ceremony at Sea” program in response to this wish. This ceremony includes something very much in keeping with the thoughts of many people living in the Lower Mainland today. The “Ceremony at Sea” package provides for a traditional funeral or memorial service as you see fit, followed by cremation, a memorial or Celebration of Life reception, and finally, a cruise on our motor yacht, “Pacific Ceremony”, for the final scattering of ashes at sea. 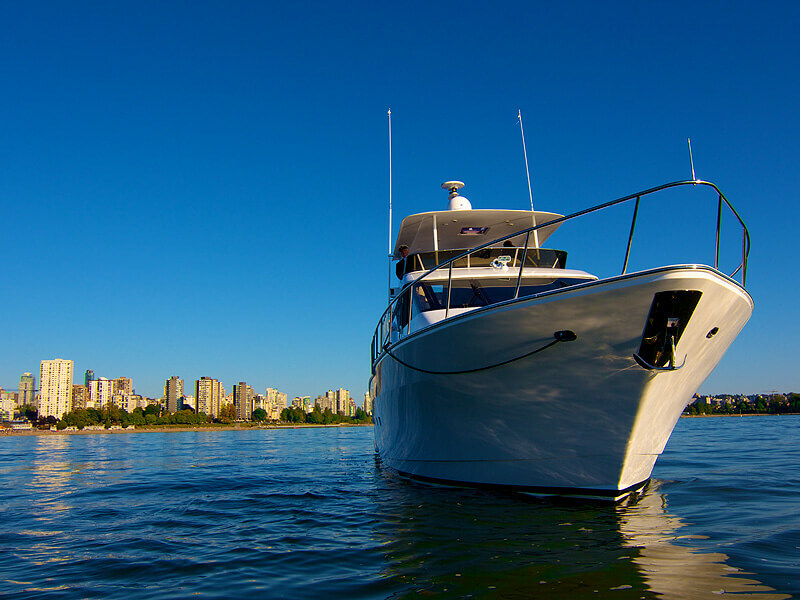 The cruise time is about three hours, providing for an intimate cruise into English Bay, followed by the selection of a serene spot for the final placement of your loved one’s cremated remains. We mark the exact GPS location of the ceremony and preserve this for your safekeeping. This allows family to recognize this spot as a permanent memorial to their loved one’s life. We include the “Ceremony at Sea” option with most of our cremation packages. We do all the work and organization required to fulfill these wishes. All the family needs to do is choose the date and time. Leave the rest to us.